As we’ve found time and time again, Joy’s word has been taken as read and never challenged, and has been added to over the years until it became an “impassioned speech” on the twohundredpercent.net website. 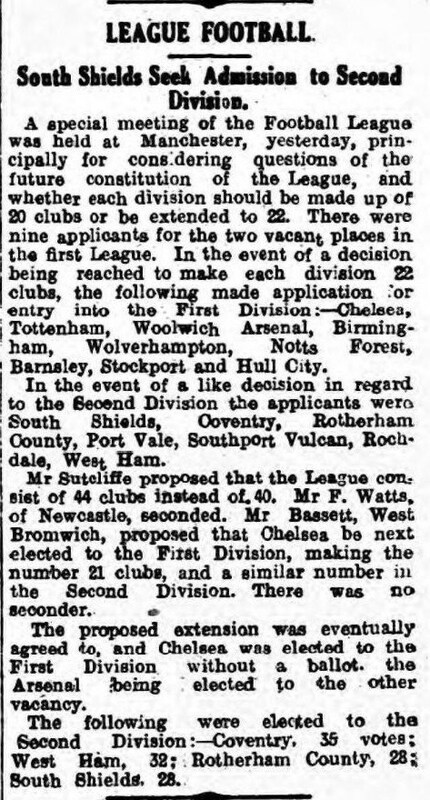 Thanks to websites like the British Newspaper Archive it is now possible to search through a large number of newspapers and view the contents with great ease. What we did was to see what the newspapers from March 1919 reported with regard to McKenna’s speech. We found nothing. A considerable number of the smaller regional newspapers only reported the basic outcomes of the meeting so it could be argued that they could have given a “false negative” which means that McKenna could have given the speech but it wasn’t reported. 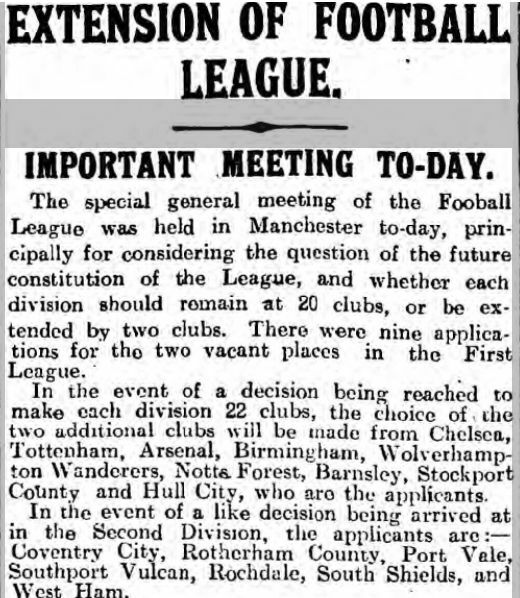 However, a fair number of newspapers went into great detail about the meeting, mentioning who proposed what and who responded. Again, it could be that all of the newspapers failed to report McKenna’s speech but when you look at the detail that the Manchester Evening Chronicle goes into, it’s difficult to see how they would have ignored something as important as the president favouring one club over another. If anyone newspaper was going to cry “foul”, it would be the Tottenham Weekly Herald. 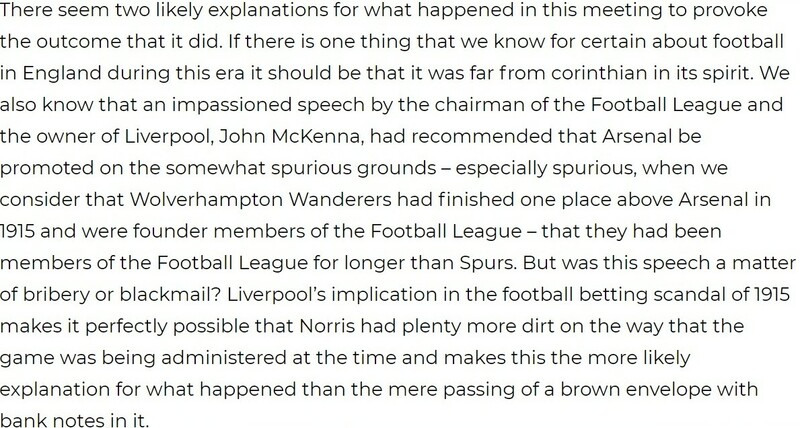 The sports reporter ‘Spectator’ was absolutely livid about the outcome of the vote (it was almost as if someone had sent him a gif of Mesut Ozil drinking a cup of tea) but not once did he mention this speech by McKenna. If it had happened you can bet that it would have been mentioned in his column. 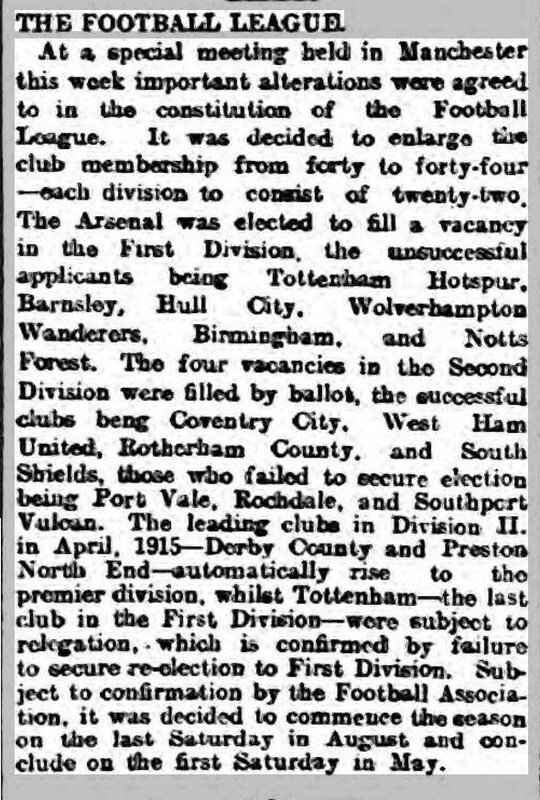 Tottenham Weekly Herald 14 March 1919. 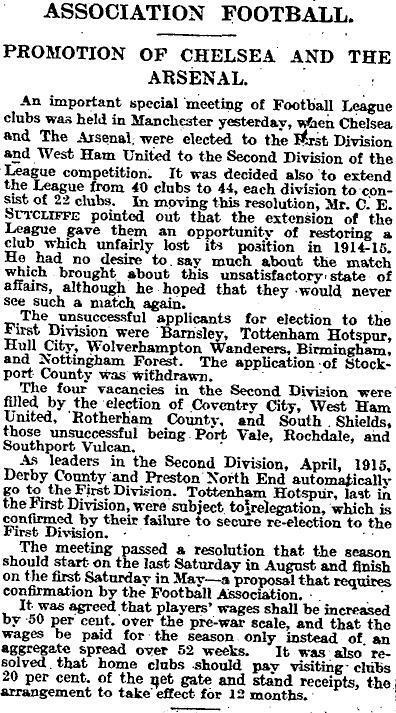 Below is a list of the newspapers that we looked at and links to the reports of the meeting from those newspapers. 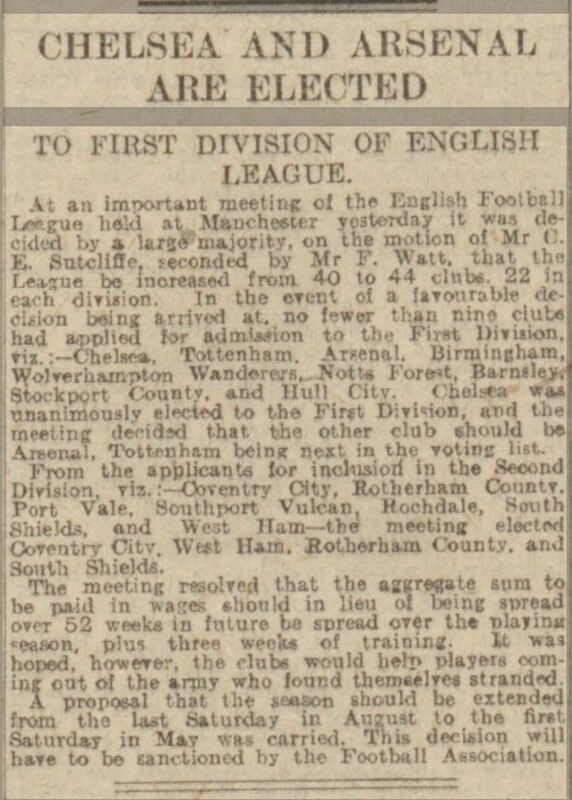 The following papers mentioned McKenna talking during the meeting but there is no mention of any speech promoting Arsenal or denigrating any of the other teams. 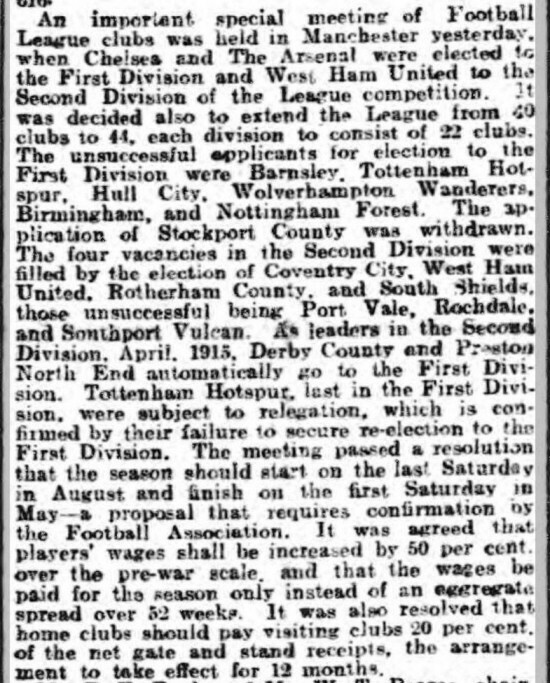 11 March 1919 – Yorkshire Post: McKenna spoke about Derby’s proposal, players’ wages and an England international match. That’s 34 newspaper reports on the meeting and none of them make any mention of a speech given by John McKenna. What are the chances that McKenna made such a speech that all of these newspapers didn’t pick up on? If you read through these reports, they all report the events in varying amounts of detail but they all concur with each other. And they all contradict just about everything that Joy wrote 33 years later. 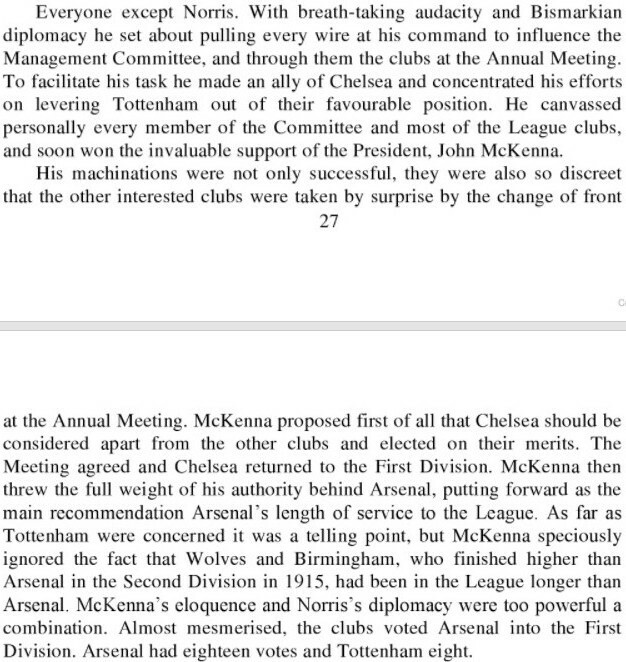 So, where did this story of McKenna making an “impassioned” speech in favour of Arsenal come from? Well, the content of this alleged speech is very similar to what had been printed in Athletic News in the two months preceding the meeting. 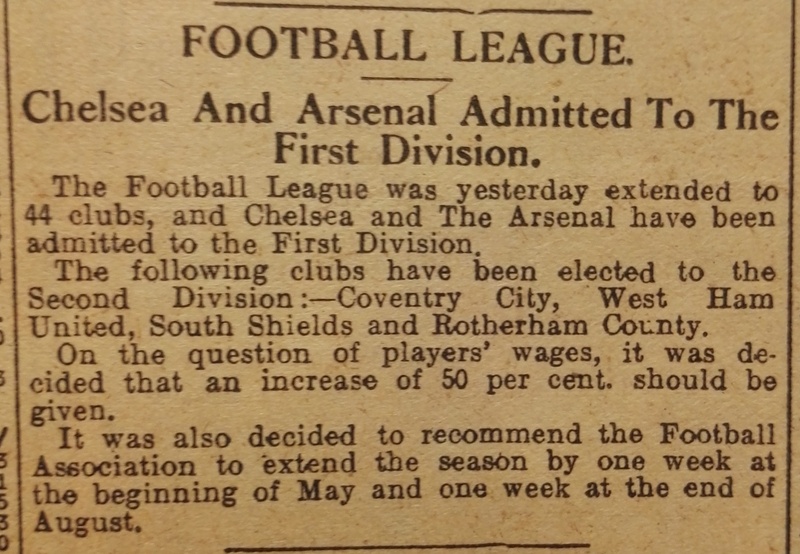 So, we have the source of the content of McKenna’s alleged speech but no proof whatsoever that he made this speech at the special meeting where Arsenal were elected to the First Division in 1919. 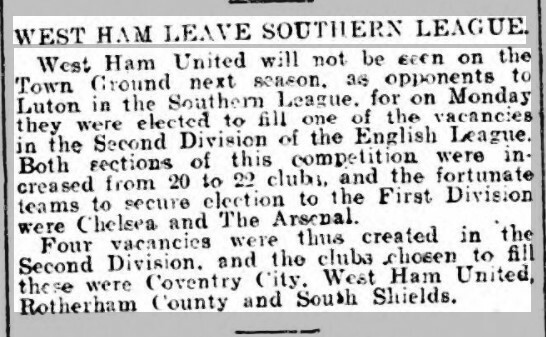 It has also been alleged that Sir Henry Norris offered McKenna a house in Fulham as an incentive to make this speech. That rumour seems to be on rocky ground if McKenna didn’t actually make the speech. 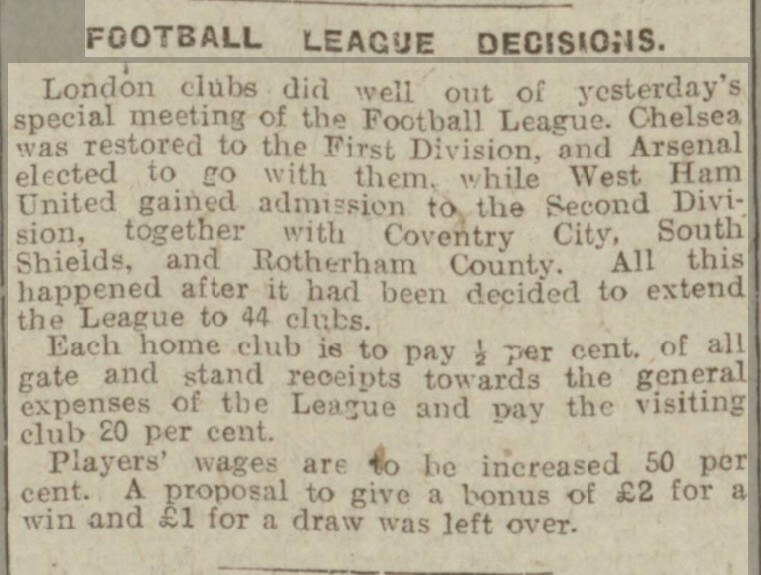 If you can find any contemporary mention of McKenna endorsing Arsenal at the Football League meeting on 10 March 1919, let us know as we’d love to see it. 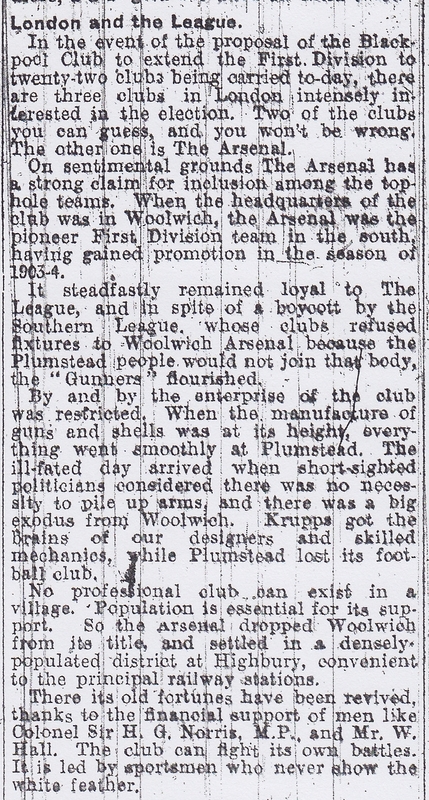 Or have a look at our other site: The Arsenal Collection for a ton of Arsenal memorabilia.